With trees already starting to change colour and the coldest August bank holiday on record, it is clear that summer is quickly fading away in the UK. The following are a selection of London exhibitions that will be open throughout the autumn. Blood Swept Lands and Seas of Red commemorates the centenary of the First World War in dramatic fashion. 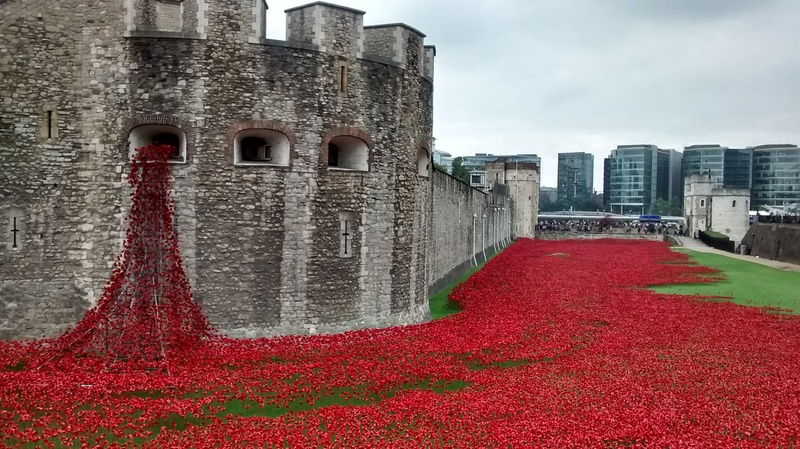 By the end of the exhibition period, 888,246 ceramic red poppies will spill down the side of the Tower of London and fill the moat. The display is exquisitely crafted. It also visually captures the magnitude of loss during the First World War for a generation that no longer has a living connection to the period. The poppies are available for sale and the revenue will be distributed amongst six charities. Appropriately, the exhibition will close on Armistice Day, November 11. In keeping with the commemoration of the First World War centenary, the Imperial War Museum has a major exhibition running for a significant length of time. There are several galleries devoted to the experience and stories of the First World War, but a special exhibition displays art created during and directly after the war. The exhibition shows how these creations depict the war and how they immortalize its horrors. The exhibition runs until 8 March 2015. The Crypt Gallery, located in St Pancras Church, has a very Halloween-sounding ring to its name, but its upcoming autumn exhibition Works on Paper will feature colourful and lively pieces by Yves Berger, Michael Broughton, Martin Chitty, Jeremy Clarke, and Paolo Volpato. The featured works include mixed media, handwriting, pen and ink, chalk and pastels. The exhibition runs from 1 to 14 of September and will be open from 11am-7pm daily. The short exhibition that follows Works on Paper is much more in the spirit of Halloween and suitable to its crypt surroundings. From 20-21 of September the gallery will be transformed into an archive for all materials related to the Victorian activity of collecting and interpreting human skulls and hair. The display will include documentary evidence and a wreath made of human hair. The exhibition will be open from 12pm-5pm daily. 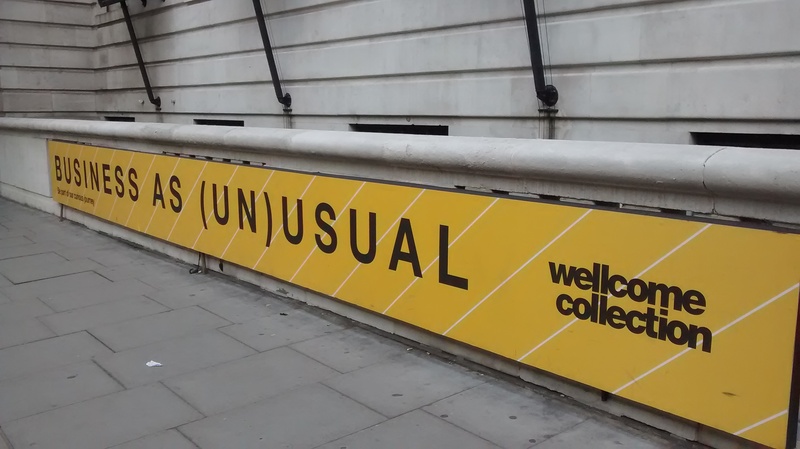 In a similar theme to the skull and hair exhibition at the Crypt Gallery, The Wellcome Collection explores medicine, science, and medical humanities through unusual artefacts. Using objects and interactive displays, the exhibition, An Idiosyncratic A to Z of the Human Condition, presents the odd side of medicine throughout history. The exhibition will be open until 12 October. 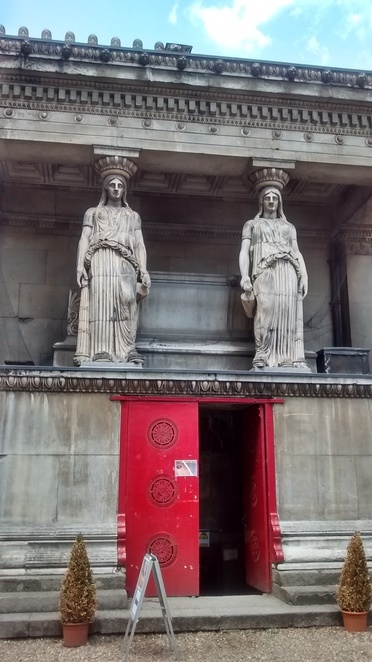 The Victoria and Albert Museum is 'the world's greatest museum of art and design'. The permanent collection includes items from fashion, jewellery, architecture, furniture, and photography, to list just a few examples. The fascinating exhibition, Disobedient Objects, is the first of its kind to explore the role that objects have played in protest, political activism, and grassroots movements. 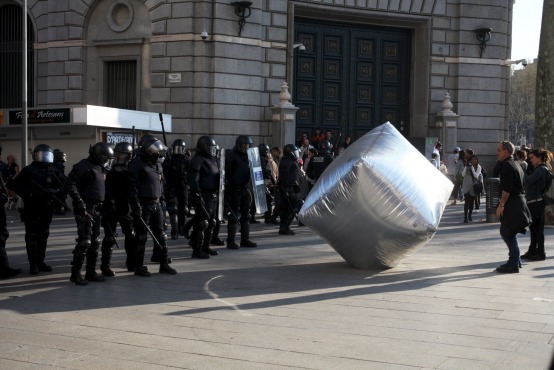 On display are inflatable objects thrown at demonstrators, graffiti, and art depicting recent activist movements. The exhibition covers the period from the 1970s to the present time and items are drawn from across the world. The exhibition is open from 26 July 2014 - 1 February 2015.